One of the most renowned Catalan traditions is a gastronomic phenomenon in the region surrounding Barcelona. 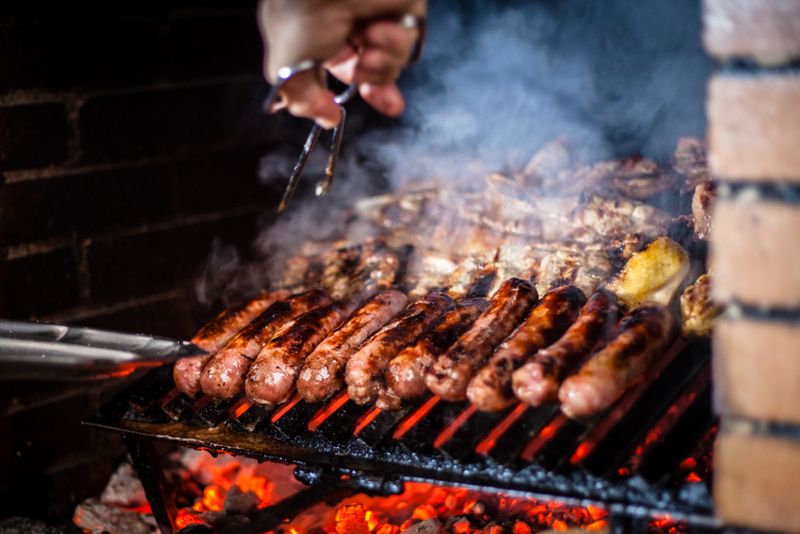 No calçotada is complete without the typical sweet char-grilled spring onions known as ‘calçots,’ and mountains of grilled meat and sausages. Add some red wine to help wash it all down and you have understood the basics of the Catalan way of life in the coldest months of the year. From January until April, the region surrounding Barcelona hosts this winter food festival. Find the best spots to participate in the Catalan onion craze, or learn how to throw your own calçot gig. If there is one thing you should know about the Catalan idea of a successful calçotada, it is that it often involves a certain degree of fun (and inebriation). One of the biggest stereotypes surrounding the Catalan people is the idea that they can be quite highly-strung and not as relaxed as some of their Southern counter-parts. Clearly, their critics have never been to any of the local festivals. The atmosphere at a calçotada goes a long way to reveal the warm, fun-loving nature of the Catalans. When planning the perfect calçotada one of the first things you need to know is that without a grill you won’t get very far. 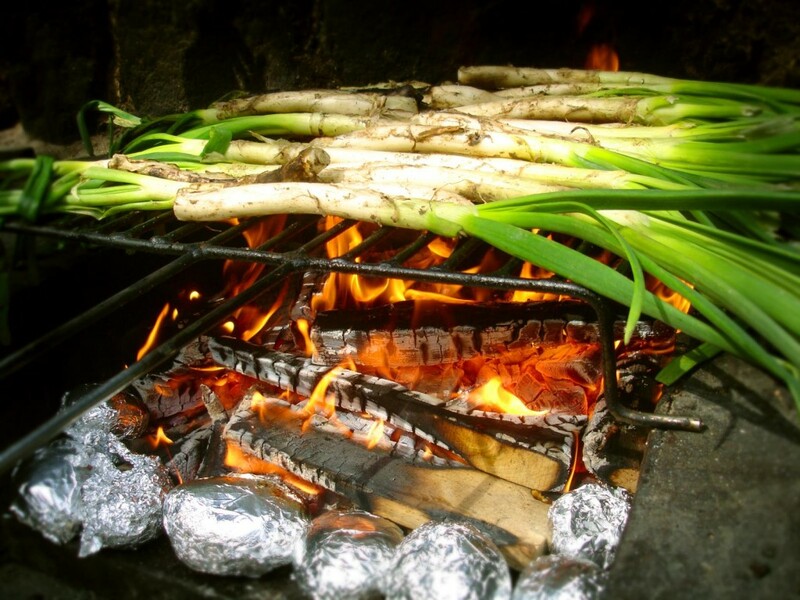 Whenever possible, the preferred method, and most traditional one, is for the calçots to be grilled over an open fire fueled with sarmientos de viñedo. These grapevine clippings give an extra special flavor to the calçots and the accompanying meat and vegetables. If sarmientos are not available, organic charcoal will also do perfectly fine. When the grill is ready, it’s time to cook the calçots until they are nicely charred and just starting to turn black on the outside. Once they’re cooked, they are wrapped in newspaper, just like Fish & Chips, and then kept in a box and left to rest for about 40 minutes. This leaves just enough time to grill the artichokes, which are typically served alongside the calçots as the first course of the meal. ¡Bon Profit! The next round follows, it’s time for typical grilled meats. This round includes beef, pork chops, lamb chops, but also butifarra, the most delicious of classic Catalan sausages. Don’t forget to keep hydrated during this indulgent meal! Tradition tells us to favor wine, drunk from a porrón, a glass bottle which resembles a small watering can (and can in some instances serve a similar purpose!). To use the porrón, simply pour it straight into your mouth, replacing the need for a glass. Beginners start with the spout quite close to their mouth, and as their technical skill progresses, the distance gets bigger. As the meal progresses, you may find yourself speaking a more fluid kind of Catalan. Don’t miss this great opportunity to find out for yourself what great sense of humor Catalans have. Calçots are hard to miss during the winter food festivals, but that does not make it easy to find the local calçotada gems. In the past decades, Barcelona has become one of Europe’s most appreciated travel destinations. The citizens of such well-traveled cities enjoy sharing a great deal of their riches with travelers. Deep in their heart, however, the Catalan people would love to keep some of their most treasured traditions a secret. And aren’t those elements of a culture the ones we want to explore most? The Catalan people knew it would be impossible to keep such fun events to themselves. Therefore, they decided to share their gastronomic gems with passionate passersby. 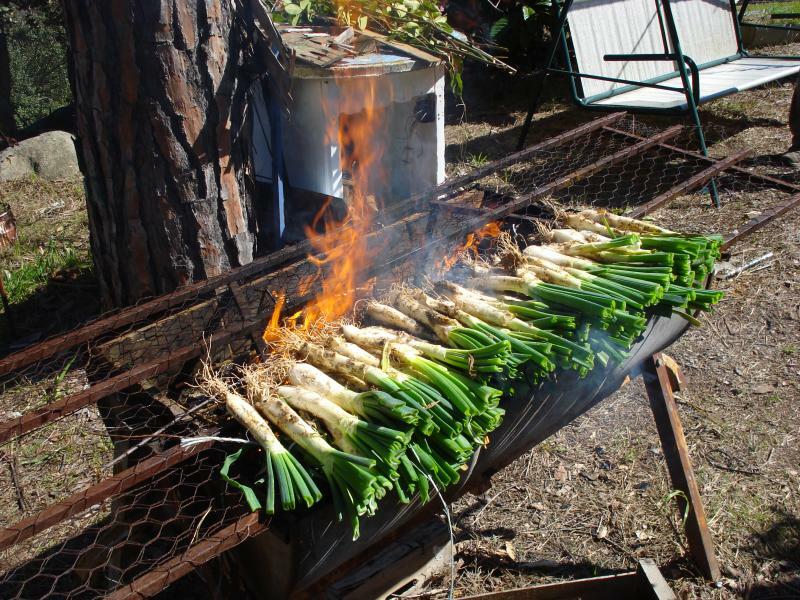 It is possible to find places to celebrate the beloved calçot inside Barcelona, but it is recommended to try one of the barbecues in the countryside. Near Tarragona, you will find the town of Valls, home to the Calçotada Festival in January. In the whole Catalan region, calçots grow in the forests and national parks. Lots of families and restaurants in the countryside grow and harvest their own calçots. All the more reason to choose the rural area for your (first) calçotada experience. In Masmolets, a small village surrounded by green fields, vineyards and the Catalan mountains, you will find Cal Ganxo. This restaurant offers an unforgettable and authentic calçotada, inspired on the original recipe from Grandma Cisqueta de Cal Ganxo. Another option is setting up your own calçotada at Torrent de Can Collserola in the Collserola Natural Park, located a 30-minute drive from Barcelona. This is one of the most popular public barbecue spots around Barcelona. It has already been mentioned that the countryside is the preferable location for a calçotada. But if you do want to stay inside Barcelona, you should check out Can Cortada, an authentic Catalan farmhouse restaurant. When you arrive at its gorgeous gardens, you will immediately know why it belongs to the historical haven that is Barcelona.